IT’S all back to Alexandra Palace for the counting up of the votes in the Barnet and Camden London Assembly constituency on Friday. In the past, you didn’t really need to show up because Brian Coleman would stroll to victory. This time around, however, Labour members believe he is actually under serious threat of losing his seat on the Assembly, sensing that if they don’t push Ken over the line this week then they may at least get a consolation prize at the Palace. Some sharp-tongued bloggers from Barnet will be watching developments closely. He has been targetted like no other London Assembly member online. The count at Ally Pally does give us another excuse to reach back through the New Journal photo archive filing cabinet to find an all time dog-eared classic. 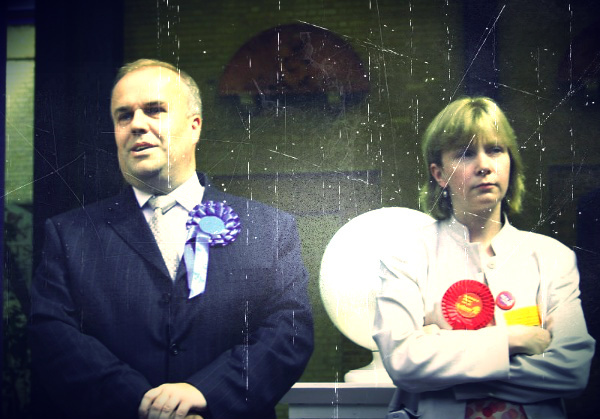 It’s the winner of the most pissed off election loser face award, which Labour’s Lucy Anderson won hands down back in 2004 when she was beaten by Coleman. She later used the image on Christmas cards, her mardy crossed arms becoming a badge of honour for her Labour credentials.